To master something means to acquire complete knowledge or skill pertaining to that thing. Which means in order to be a master of PowerPoint, you need to acquire all the knowledge and or skills that come along with PowerPoint. This may seem a bit daunting, but I will go through 3 tools that will help you quickly become a master in PowerPoint. The tools are the 3 Master Views: Slide Master, Handout Master, and the Notes Master. 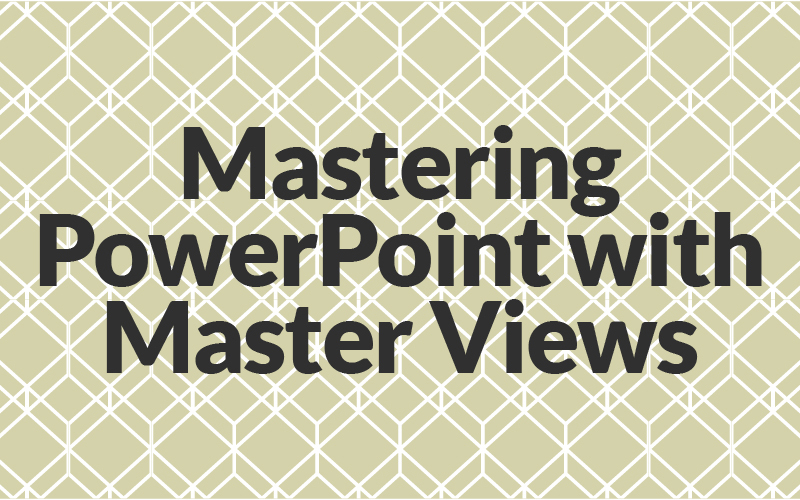 I will guide you through each of the views and show you how they are vital to mastering PowerPoint. 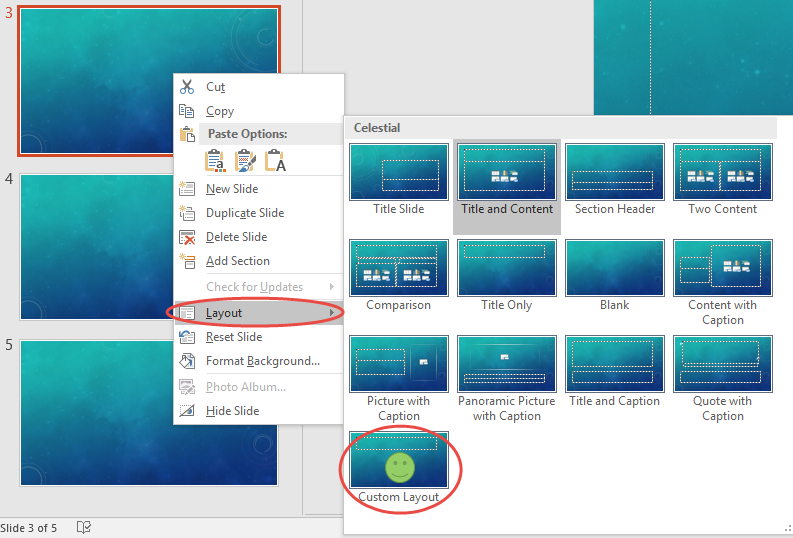 The Slide Master View allows you edit and create your own layouts. In these layouts you can add pictures, text, and even graphs and SmartArt. When you edit and create layouts in this view, the changes you make to existing layouts will be apparent. So to avoid confusion (and accidentally messing things up), you will want to insert a new layout. Once you have done that you can insert pictures, text, etc. Once you are done editing the Slide Master, you can save it out and use it in different projects. This really helps when creating presentations that may have similar layouts. Once you are done creating and modifying layouts, exit the Slide Master and on the Home tab on the main ribbon, you can insert the layout directly into your existing project by right clicking on the slide you would like to insert the layout onto. 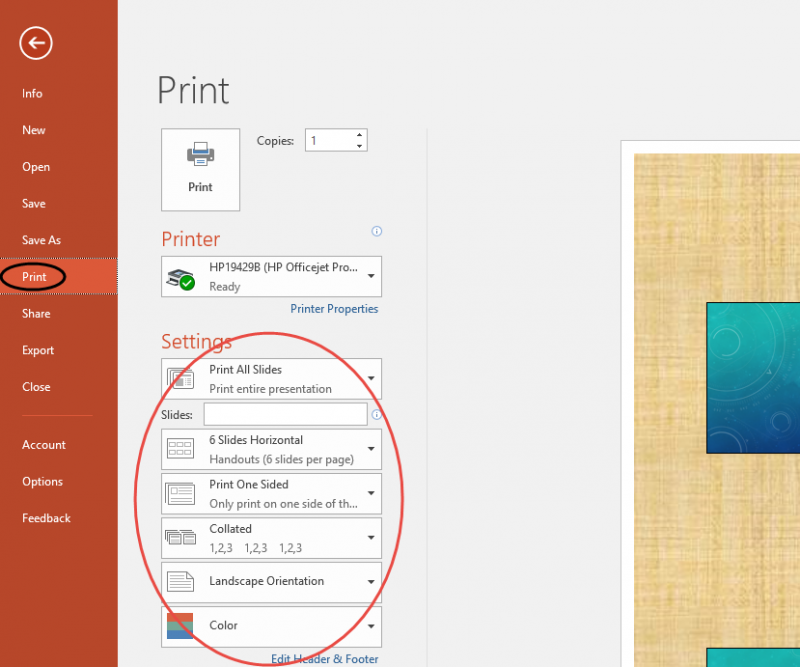 Then, scroll down to Layout and select the Custom Layout that you created. Note that you will not be able edit the inserted Master Slide while not in the Slide Master View. The Handout Master has everything to do with the layout of your presentation as it is printed out on paper. There are many things that you are able to change while in this view; for example, you can change the orientation from landscape to horizontal, change the size of the slides displayed on the page, and even change how many slides are shown per page. You also have the choice to select/deselect headers, footers, page number, and the date from showing on the page. 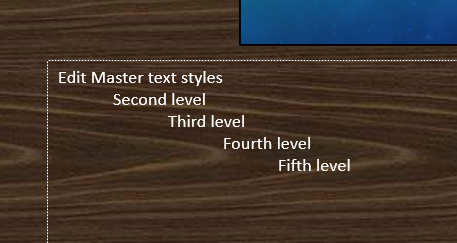 Another feature that the Handout Master allows for is the ability to modify the background style. You can choose to add a solid color or gradient to be the backdrop on your handout, and you also have the option to add an image from your personal library. 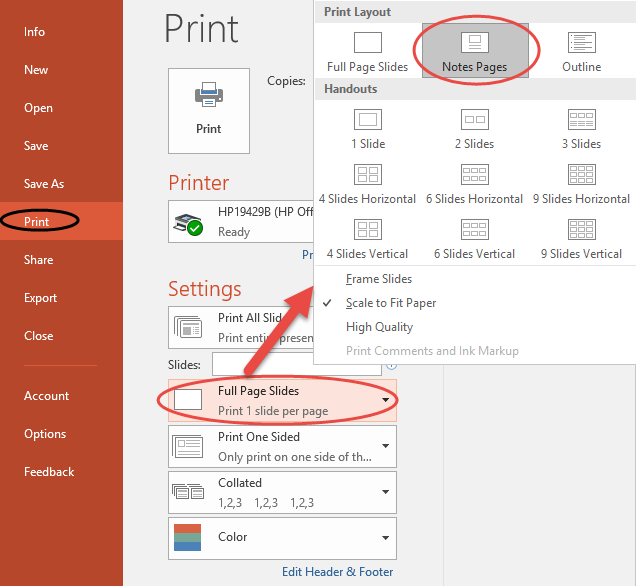 Once you have finished editing in the Handout Master, you can go File>Print and you will be given a preview of your handout. If you don’t like the look of it, you can quickly make changes without leaving the print screen. The Notes Master is very similar to the Handout Master. In the Notes Master, you are given one layout to work with. So when you change the layout of the Notes Master it will change it for every single notes section in your project. Again, like the Handout Master, you can change the orientation, slide size, and format of the background. You are also given the option to select or deselect your headers and footers, the date, and page number. Note that you are given the option to get rid of the slide image as well; so if all you want are notes for each slide, then you can select that option. Also be aware that the page number corresponds to the slide number as well (since there are only notes for one slide per page). Once you have finished editing the Notes Master for your project, you can preview your changes by going File>Print. You then need to click where it says Full Page Slides under Settings. You need to change it to Notes Pages. Then you will be able to preview and print. 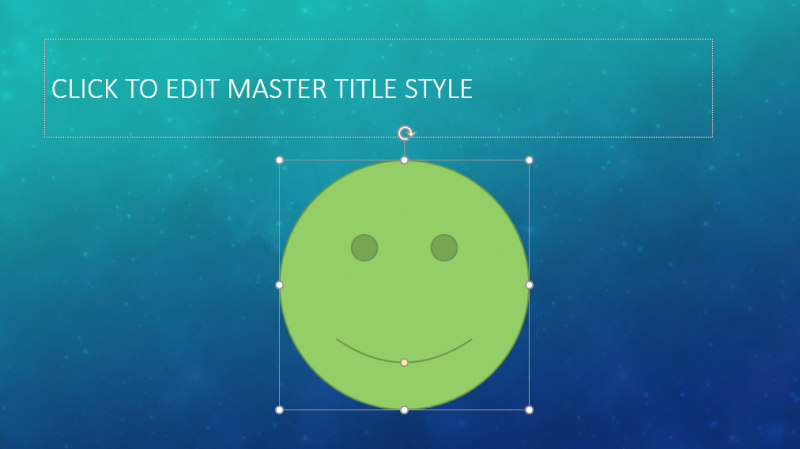 As you can see, these masterful Master Views will help you become a master in PowerPoint. From the Slide Master View to the Notes Master View, these features help you optimize development time, and keep you organized when presenting. Let me know in the comments section below how Master Views have helped you.